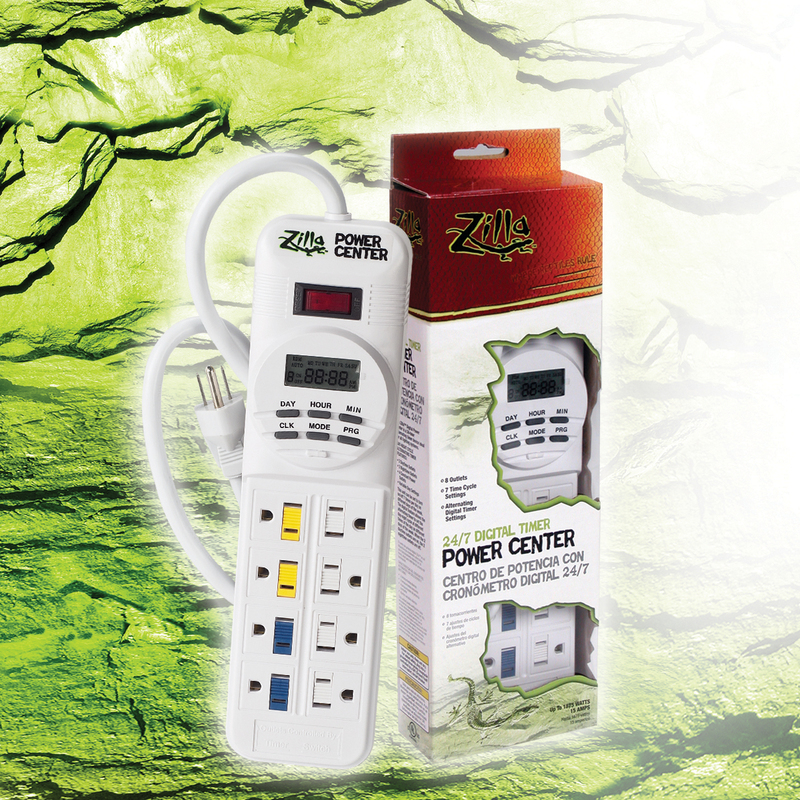 With minute-by-minute accuracy, this Digital Power Center centralizes the control of lights, filters and heaters for a healthier reptile habitat. Simple fingertip controls make it easy to set a week’s on/off schedule to mimic a sun cycle for light and heat. Control four devices at one time, while allowing four others to run constantly. Digital design includes a large central LCD readout, plus internal controls with fewer mechanical components to break down. This ruggedly built, UL listed device comes with a 12-month manufacturer’s warranty. Fall and winter Pet Tips, for all our friends Get big savings on your new reptile setup this holiday!